To meet current and future needs, our R&D Centre defines and implements the processes and production equipment for bearings and other innovative products. Remain a competitive market leader raises a challenge for INNOVATION and COMPETITIVENESS. teams of 200 technicians, engineers and professionals in machining pool their skills in mechanics, electricity, automation, electronics, physics, industrial computing, robotics, maintenance, project management, Big Data, etc. ongoing expertise in the development of new processes and resources, and improvement of the existing ones. the steering of industrialisation projects over all NTN-SNR production sites located in Europe and South America. means of simulation, CAD, FAO, etc. promotion and development of innovative ideas: filing of patents, internal awards for innovative industrial successes, etc. Our experts ensure that demanding requirements are met for each product coming off the production lines. NTN-SNR implements modern and efficient means of production to produce its lines of products for the automotive, aerospace and rail markets. In view of the large volumes, manufacturing of products for the automotive OEM and aftermarket, is highly automated. Manufacturing bearings for the aerospace industry requires high precision manufacturing equipment associated with control, traceability and cleanliness, to ensure the necessary quality and reliability. The manufacturing of bearings for the rail market is very automated. 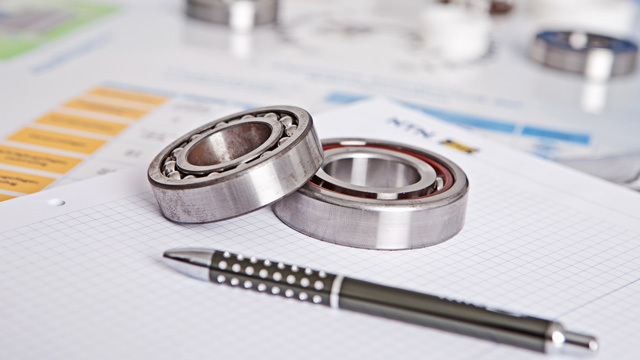 the modularity of the ranges to customize bearings based on customer activities by ensuring compliance with the standards of each country (traceability). NTN-SNR: a passion for technology!